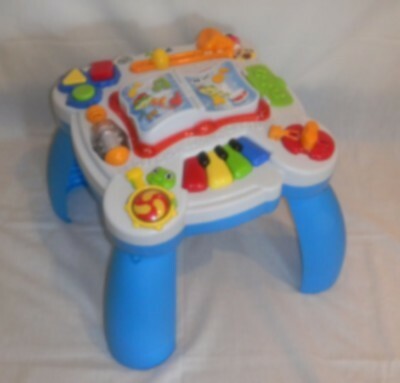 Interactive play table with lights, music, spin, slide, push/pull, open and close activities. For ages 6 to 36 months. Colors and styles may vary. For ages 6 to 36 months.